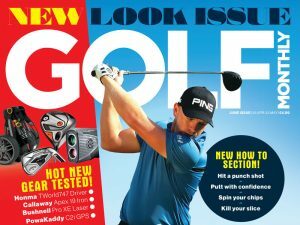 Debate will no doubt continue to rage as to who is the best golfer ever, but with Tiger now seemingly lost and looking increasingly unlikely to challenge the Golden Bear’s record of 18 Majors, Jack Nicklaus remains the man deservedly accredited with that tag for the foreseeable future for many golf fans. In an extraordinary career, Nicklaus amassed 115 titles worldwide, 73 of them on the PGA Tour, the third highest total behind Sam Snead and Tiger Woods. As well as those 18 Major victories, he also finished 2nd 19 times and 3rd nine times. Indeed, if you look at his Wikipedia page, you will see that his Major record for the decade 1970 to 1979 features only five squares that aren’t coloured in either green (wins) or yellow (top 10s). Now a non-competing elder statesman of the game, Nicklaus is set to become just the third golfer to be awarded a Congressional Gold Medal, the highest honour that can be bestowed on a civilian by the United States Congress. Nicklaus will be just the third golfer to be honoured, joining Byron Nelson who was awarded his in 2006, and Arnold Palmer who received his in 2009. 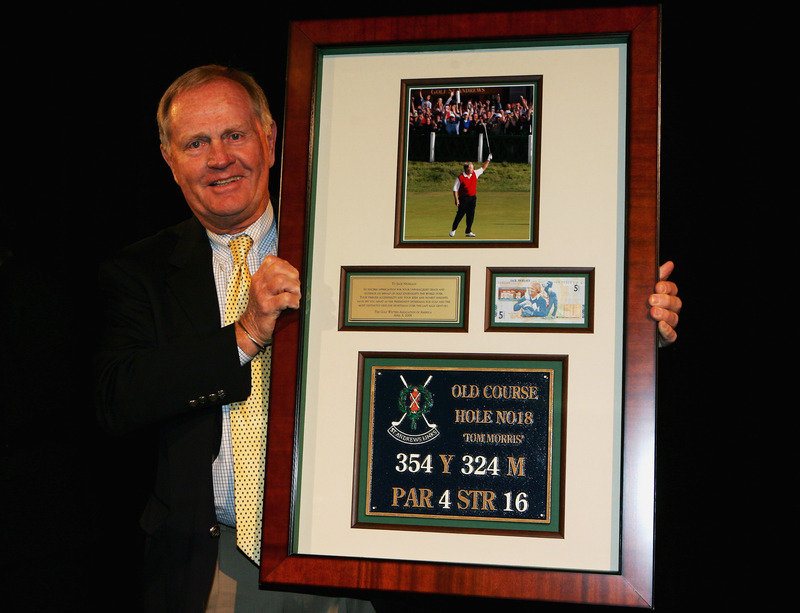 The prestigious medals are awarded to those “who have performed an achievement that has an impact on American history and culture that is likely to be recognised as a major achievement in the recipient’s field long after the achievement.” No-one could possibly dispute that Nicklaus fits the bill perfectly for his achievements in golf across five decades. Congressional Gold Medals are unique to the individual, with each one specially designed by the United States Mint to reflect and commemorate that individual and his or her achievements, so no two medals are ever alike. 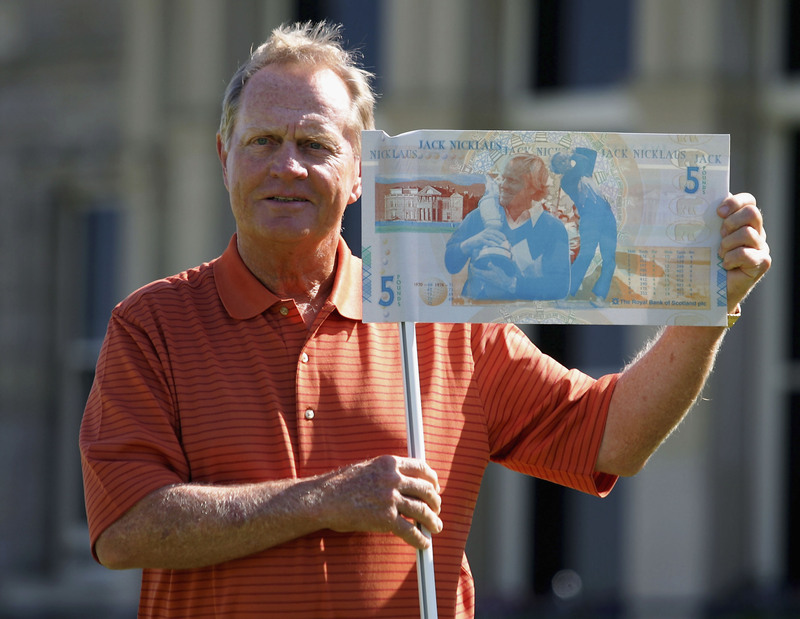 In 2005, UK golf fans may remember Nicklaus becoming the only living person other than the Queen and the Queen Mother to be featured on a UK bank note when RBS put two million Jack Nicklaus £5 notes into circulation to mark his final appearance in the Open Championship that year at St Andrews.